I have thoroughly enjoyed June Dairy Month this year. 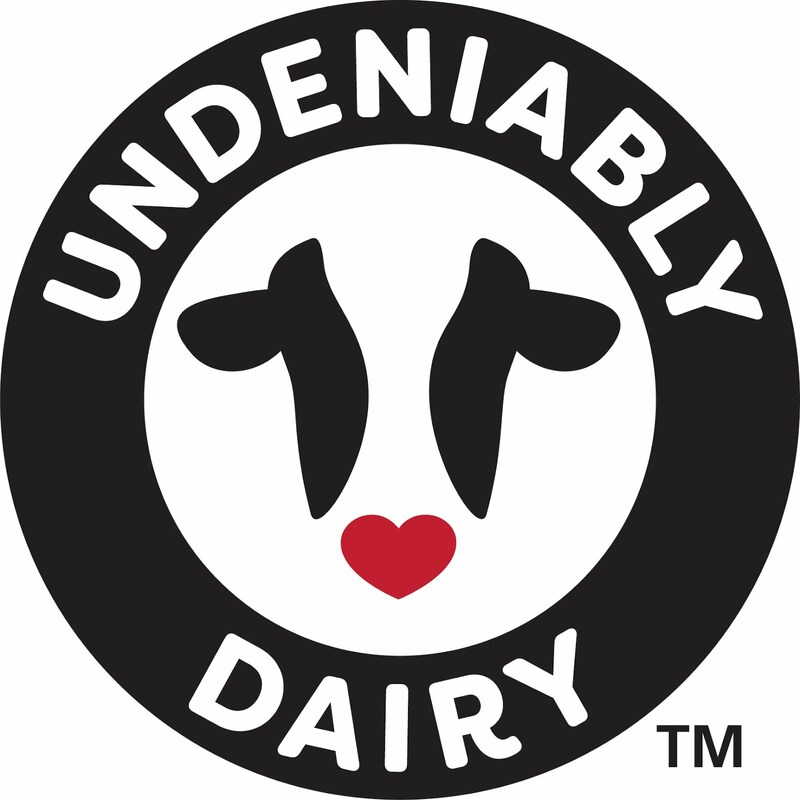 I love seeing dairy celebrated for all that it contributes to our world: nutritious foods, good jobs, and both domestic and international economic development. 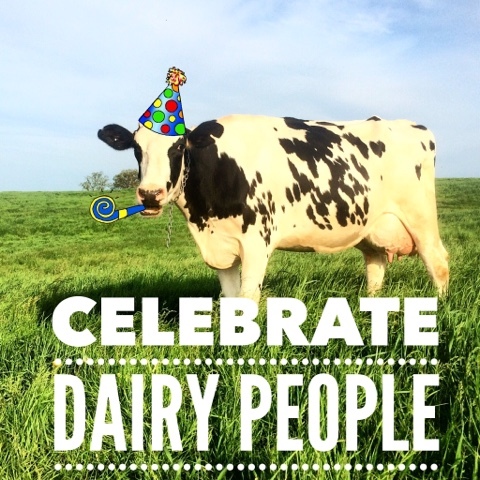 But what really makes dairy worth celebrating are the people. Who are these dairy people? Well, dairy farmers, of course, but there are so many more dairy people beyond farmers. This is Glen. He's my favorite dairy farmer! The people who work for the cooperatives that market our milk or provide us dairy farmers with services and supplies…they’re dairy people. develop new dairy foods for the past several decades. He LOVES what he does. 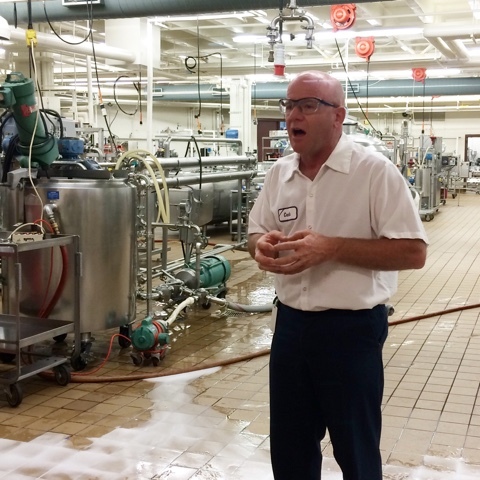 The people who work for universities and associations and agencies that support dairy farmers… they’re dairy people. 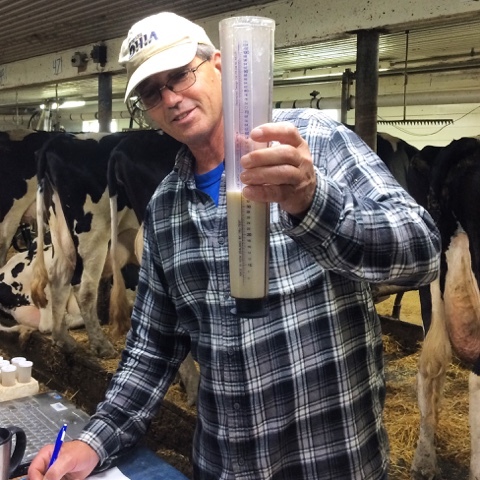 improve milk quality for 30+ years. That's dedication. All of us dairy people are connected by our love for what we do, by our shared values of hard work, faith, and dedication, and by how much we care. This connection is evident in the camaraderie that is present whenever dairy people gather. exhibitors, parents, grandparents, show organizers, the judge. 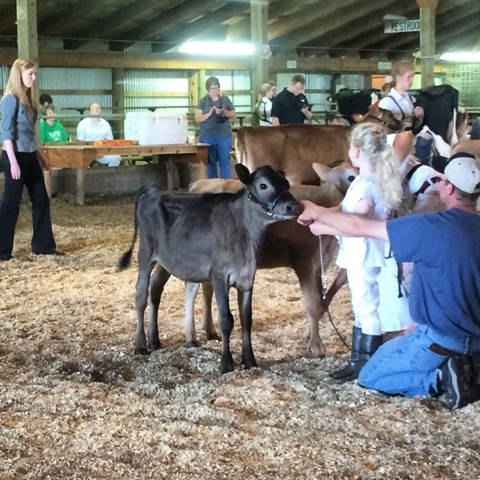 Our kids had their first dairy cattle show of the year earlier this month. I’ll be honest, it’s a lot of work to get both calves and young children ready for a show. But the effort is 100% worthwhile. 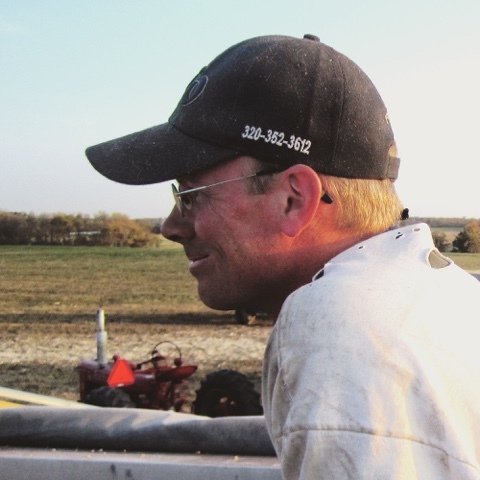 The show gives us moms and dads a chance to reconnect with fellow dairy farmers. More importantly, it gives dairy kids an opportunity to develop friendships with other dairy kids. These kids are the future of dairy and the connections they forge now will last forever. Paul and Ally from Land O'Lakes. 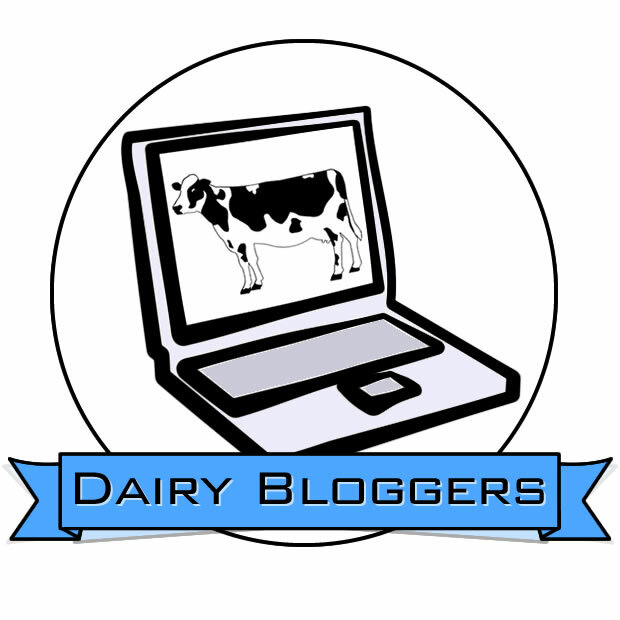 New dairy people who embrace dairy values. 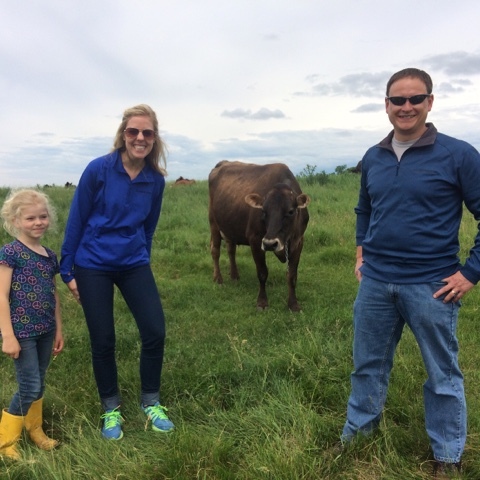 A couple of new employees from Land O’Lakes, the cooperative we belong to, came out to tour our farm earlier this month. As we visited about the work they're doing, I was reassured that our cooperative embraces the same values we do. And I know our cooperative is not alone; I have friends who work for other dairy cooperatives and their enthusiasm for and commitment to dairy are just as strong. This is Laura (and me). 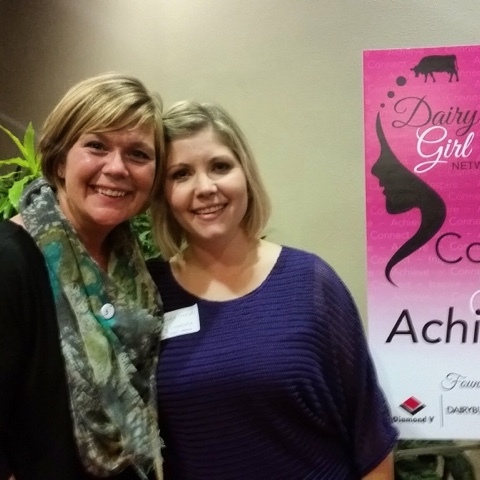 Laura is on a mission to help women in the dairy community connect. How much do dairy people care? More than you can probably imagine. And we care about so much: Giving cows the best lives possible. Protecting the land and our natural resources. Contributing to our communities. Supporting our fellow dairy people. Providing quality dairy foods for consumers. 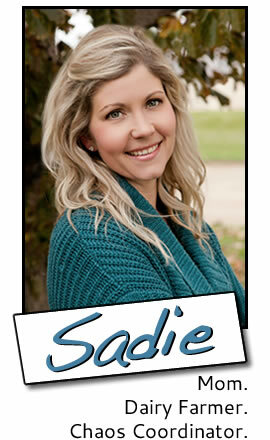 I am so proud to be part of this community of caring, hardworking, dedicated dairy people. The next time you think about cows or milk or anything dairy, please remember the people who make dairy worth celebrating.